Tall Texan RV Park and Cabins has been in operation for over 30 years. We provide RV Sites, Cabins, and Tent Sites. We have clean & well-maintained restrooms & showers, laundry facilities, propane services, a dump station, and a lodge with limited food and beverage items available for purchase. We have wireless internet throughout the property. We are kid friendly and have a nice playground for the little ones. We are also a quick walk to the Gunnison river, so fishing is at our doorstep!! We offer seasonal (May – Oct), monthly, weekly, and daily rentals. Our cabins are fully equipped, in fact we rent them monthly as well as they are more than adequate to live in!! We hope to see you soon at the Tall Texan RV Park and Cabins!!! If you’re traveling by RV, you will find our full hookup RV park a beautiful and convenient place to pull off of the road. Looking to stay close to the best recreational sites Gunnison and Crested Butte have to offer? You will find our comfortable cabins to be the perfect spot. Our tent campsites are located inside a grove of mature cottonwood trees to offer the perfect setting for a great vacation. We are taking reservations now (monthly and seasonal) for the 2019 season. Daily and weekly reservations will begin on May 1st when the park opens. New Ownership, managment, and internet! Miles away, but a world apart!! Nestled in 10 acres of high mountain cottonwoods, Tall Texan is a great place to spend a relaxing vacation, enjoy a holiday weekend or meet friends and family. 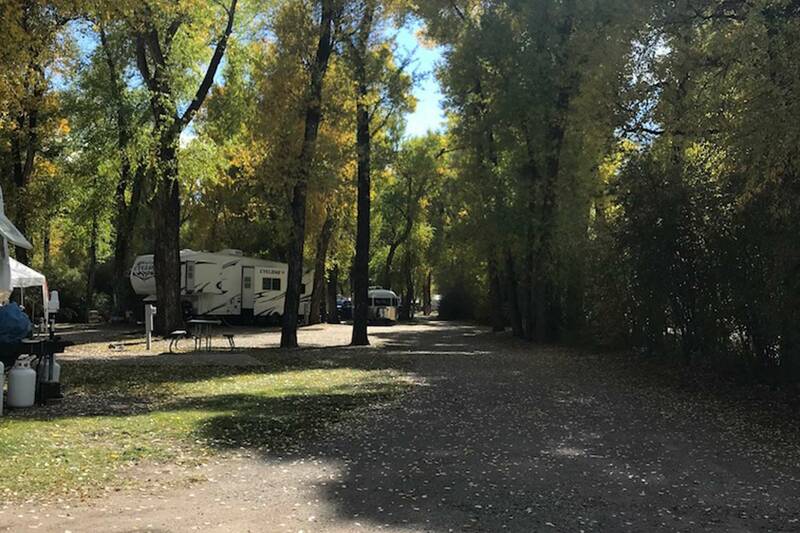 We are close to popular Gunnison recreation attractions, and also offer the convenience of the campground’s restrooms, showers, laundry facilities, and lodge. Located just off the Gunnison River.